Home Innovation Could the human clones of ‘Cloud Atlas’ be in our future? Could the human clones of ‘Cloud Atlas’ be in our future? A dystopian society supported by genetically modified clone workers stands out among the six stories that make up the sprawling film “Cloud Atlas.” The idea may seem far-fetched because of political opposition to human cloning and genetic modification in today’s world, but the science is closer than many people may think. The “Cloud Atlas” story focuses on a genetically-engineered “fabricant” clone named Sonmi~451 who is one of millions raised in an artificial “wombtank,” destined to serve from birth. Such fabricants do practically every kind of manual or service labor, work as soldiers and prostitutes, and even act as “living doll” toys for “pureblood” kids in the futuristic society of Nea So Copros — an ultra-corporate version of a unified Korea that has grown to include much of Asia. “Of course, any technology could be abused, but a nightmarish ‘Cloud Atlas’ future would not flow inexorably from the deployment of human germline genetic modification,” said Kevin Smith, a bioethicist at Abertay University in the UK. Such genetic modification of the germline — the genetic material in eggs or sperm — already works in some animals. Researchers have made genetically modified animals and clones such as cloned pet dogs and gene-tweaked mice tailored to sniff out landmines. By comparison, similar research in humans has focused on cloning embryos to extract embryonic stem cells that could prove medically useful. But the reality of safe, effective genetic modification of humans seems likely to come true in the “relatively near future”, Smith and his colleagues wrote in the October issue of the journal Archives of Medical Research. They also argue that the technology’s possible benefits for humanity should prevent countries from automatically passing bans or heavy restrictions on such emerging technologies. 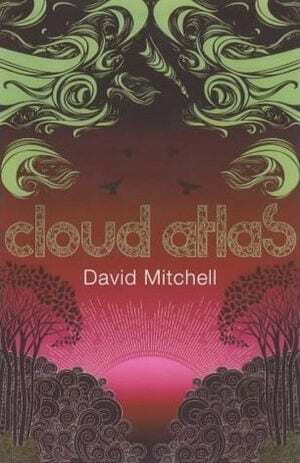 The “Cloud Atlas” film, based on a novel by David Mitchell, tells the story of Sonmi~451 slowly awakening to the industrialized horror of a future society, one that treats genetically modified clones like robots that don’t have feelings or deserve human rights. A second breakthrough has been the ability to make artificial eggs or sperm from stem cells, either embryonic or adult stem cells that can develop into different cell types in the human body. The third breakthrough involves “designer” recombinase molecules that have the ability to break apart and reassemble DNA strands. Each technology could eventually help scientists make genetic modifications to a living organism’s genome. Such genetic modification could someday remove the threat of genetic disorders passed from parents to children, boost genetic protection against diseases such as cancer or perhaps even boost cognitive abilities in the brains of human offspring, Smith said. The idea of genetically modified humans living healthier lives may not appease those who fear the “Cloud Atlas” vision of mass-manufactured clone workers. Luckily for them, the science fiction idea of growing humans in artificial wombs may take far longer to realize than human genetic modification.